But it doesn't come from "anger me" (but from "ange larme"). Also is the pun in chica~chick ? Or am I missing something ? Well, I can honestly say I never knew that. Ok, the katakana make sense then. But the romanized version makes even less! Chica, as in the spanish word for "girl". Tetsu being "iron". Chikatetsu just means subway. It also fits into the whole “underground idol” concept. There’s this video of when they first changed to ANGERME where Kana explains it means Angel’s Tears in French. This might be a nitpick but I hate when English speakers call them "an-joo-roo-moo" with such a strong American/British/whatever accent like please don't. "Ahn-jerm" is fine thanks. Pronounce it in a french way (ANJERME - like it's supposed to be) and it doesn't make any sense at all. Me and my past roommate were always laughing about this name. As for the other names, not convinced at all. Tsunku was way much better at this then we thought. I mean hey, Morning Musume was named after some morning buffet (granted, Takoyaki Sisters or Tabehoudai would've been sillier). Tayou to Ciscomoon, Tanpopo or W were peak H!P group naming, S/mileage too. Berryz Workshop, cute with a celsius °C, even Melon Anniversary made no sense at all. ANGERME is weird, Juice equals Juice is weird, Beyooooooooooooond is weird. (Anyone else thought of THE Possibooooo?) There's only cool or wacky, no inbetween with H!P. Angerme is Kana’s fault, though. Can’t pin that one on management. Well management okayed it, so they aren’t completely blameless. Angerme is the greatest name in the history of J-idoldom. Oh, and it should always be pronounced "Anger Me". I did prefer your "iron girls" supposition to their "philosopher girls" explanation (with the image of a railway track in the middle). And "Girls who show while (by) performing the delicate emotions they hid at the bottom of their hearts" (final general explanation). Rain is falling gently as if it was wrapping up forests and beads' drops fallen on trees' leaves are silently soaking into rivers. Then rivers are soon going to fill (or reach ?) the sea and this cycle never ends. (Thus the name can be shortened in "RFRO"). This water's grace (blessing ?) is precisely the source of our human lifes. The group name shows "nature" and this "origin of human lifes". We noticed a day that all members names (walnut, rice field, mountain, wing, hill, wave and peach) were showing beautiful sides of nature. They were also painting "forest, river and sea". We named the group hoping these girls would become a group who gives richness to people's hearts. And they want Beyoooonds to be a "slime-like" group, that is a group capable of ever-changing appareance. 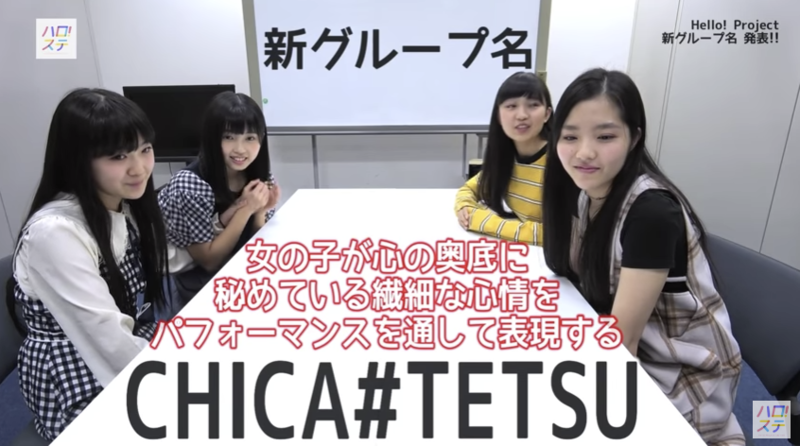 From the vid, it seems because of how well they did performing "Megane no Otokonoko", BEYOOOOONDS was created. Momohime's face screams "I deserved better than this" LMAO. Even if she said "cool." Chica#Tetsu is the best of the three, imo. But it definitely gives off a non-H!P vibe which makes it the worst of the three at the same time. It really is just like the name an underground idol group would have. Also, this gives management the full go ahead to make them their "South American" group. Visually, Musically and Touring-wise. You can decide if that's a plus or minus. I'm intrigued by the idea of BEYOOOONDS (how many o's does it have? I'm too lazy to count and will be too lazy to count it everytime I spell it.) It's like H!P Kids + possibly another group--at least at the moment there are enough extra members to make another group. However, all of this makes for a very busy and large number of people on ALL CAST songs for H!P concerts. PS--This male staff member is hilarious, and seems to be kind. Is it too early to make the "オ多い" joke for BEYOOOOONDS? I actually really like CHICA#TETSU as a name now that it's been explained. Ame no Mori Kawa Umi sounds like a shittty SATOYAMA group name though. Funny you say that, I imagine they'll sing only songs that would normally go to SATOYAMA groups. Yeah, probably. It's also a super bulky name and the RFRO short version sounds stupid. Why not AmeKawa or something like that? Looking forward to the third group though. They've been holding back information about the auditions for way too long now. The way they all laugh at BEYOOOOONDS cause they know it's so ridiculous. xD Sitting there counting the O's I'm dead. But then again the girls holding each others hands was the sweetest. I'm okay with the other names after the explanations. Is it confirmed that there are five O's in BEYOOOONDS? Can someone tell me who's in BEYOOOOONDS? Also where did the girls I haven't heard of before come from? KSS? Auditions? They would be: Rika Shimakura, Shiori Nishida, Saya Eguchi, Yuhane Yamazaki, Minami Okamura. Madara just go back a few posts. 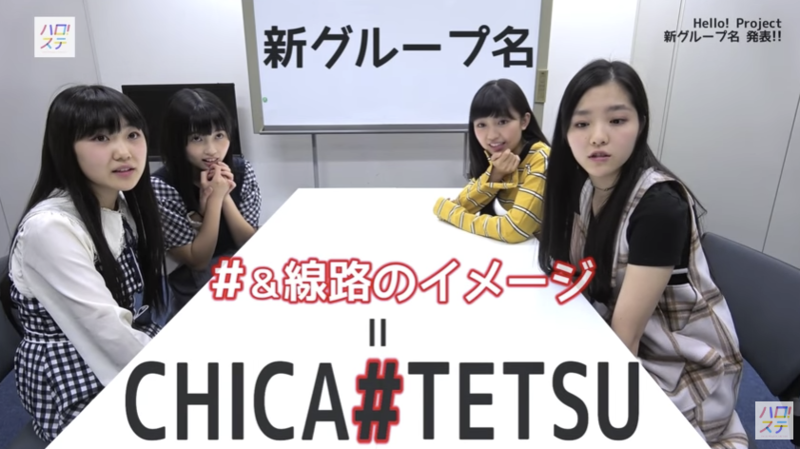 ^^^ the third group has no name yet, it will be made of the winners of this year's H!P audition (which were supposed to join Chica#Tetsu or RFRO originally). Beyoooonds will be the umbrella name for all three groups together. The girls you didn't know yet were members of the Kenshuusei. 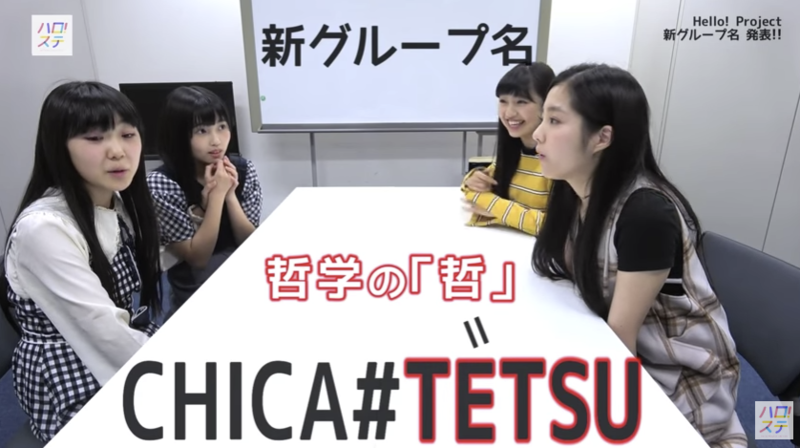 Is it okay if I call them "the Ichioka group," "the Kurumi/Momohime group," and "the group with no name and no people"? Or "the group that doesn't exist yet"? If they were called BEYONDS with no extra o’s that would be totally fine. They should at least make it 5 new groups so that there's an O for each group. What if that's the plan?